September 3, 2013 By Allyson 13 Comments This post may contain affiliate links. Read my disclosure policy. For the last month or so, I have been turning my son’s nursery into a big boy room! I’ve done so many projects for it, but haven’t shared many yet. There are tons of posts to come on this big boy room, but today I am going to share how I recovered a lamp shade for his room. This project was so easy! It took less than 30 minutes, and I love how it turned out! 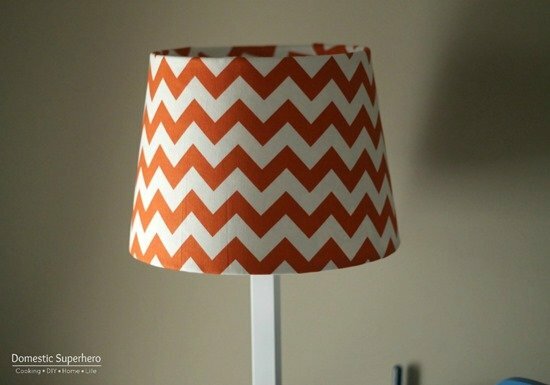 Last month, I was browsing Hobby Lobby and I found some super cute bright orange chevron fabric. I bought a couple yards, knowing I would be able to incorporate it into my son’s new room since it matched the color scheme I was planning. Up until that point, I had pretty much removed all the nursery decor from his room, except for the little lamp we use every night while reading before bed. Not just any lamp, a jungle animal lamp. It had to go. 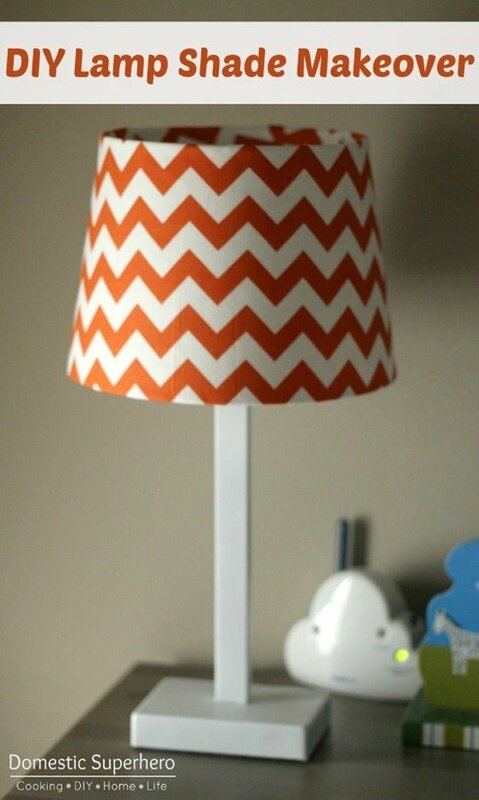 I pulled out an old lamp from the closet, and found the chevron fabric. 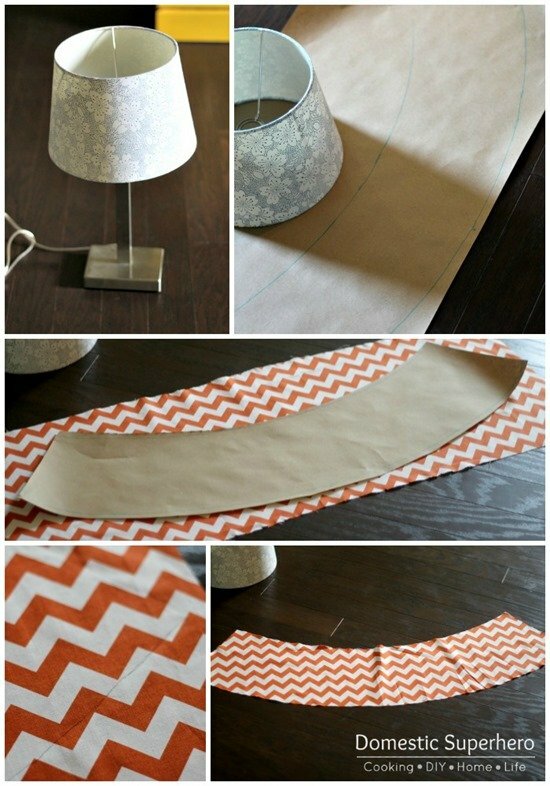 I quickly looked up ‘how to recover a lamp shade’ and there was about a million results (actually more). Little did I know how easy it would be…. Follow this great tutorial from Fat Orange Cat! She has step by step directions and seriously made it so easy to figure this out! I didn’t do that last step of her tutorial (adding ribbon), but everything else was spot on! This project was super easy and cheap too! 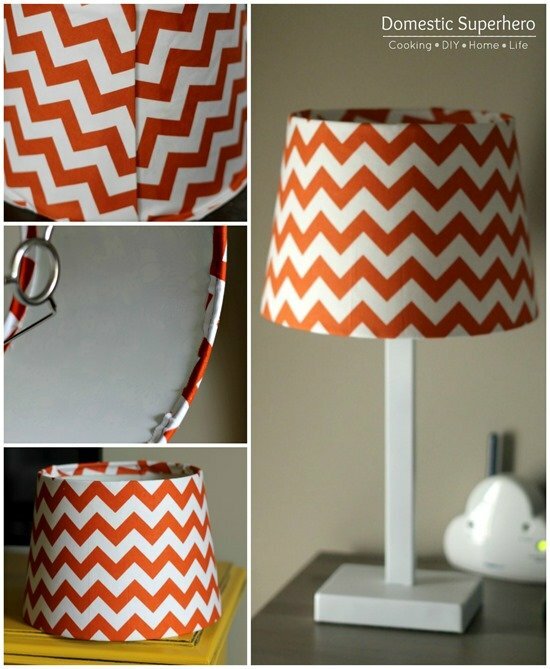 All I ended up having to buy was the fabric, which made this lamp under $5 total! Total win if you ask me! It looks so easy, I need to do this. 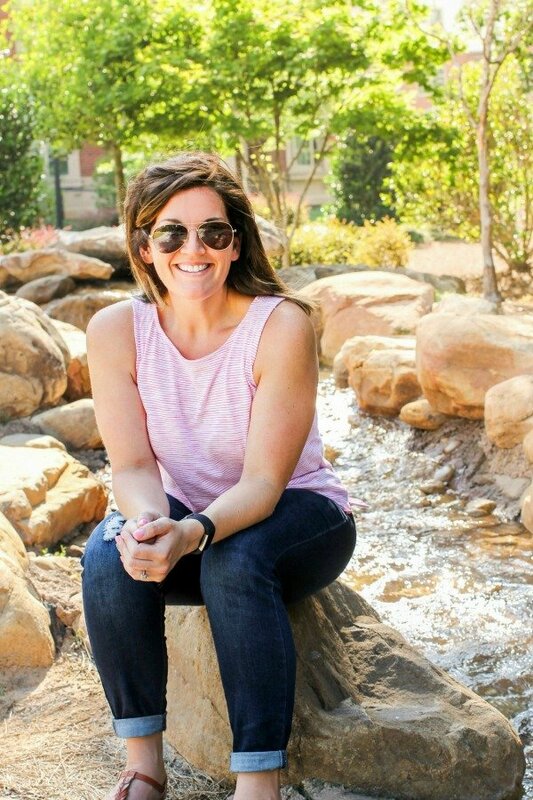 Hi Allyson, I love the lamp that you made, you did a beautiful job! I so need to update my lamp shade in my living room and my pillows! I pinned this and thanks. Friend! Cutest little lamp shade ever! I love the bright orange– it really pops! How fun for a big boy room! Thanks so much for sharing!